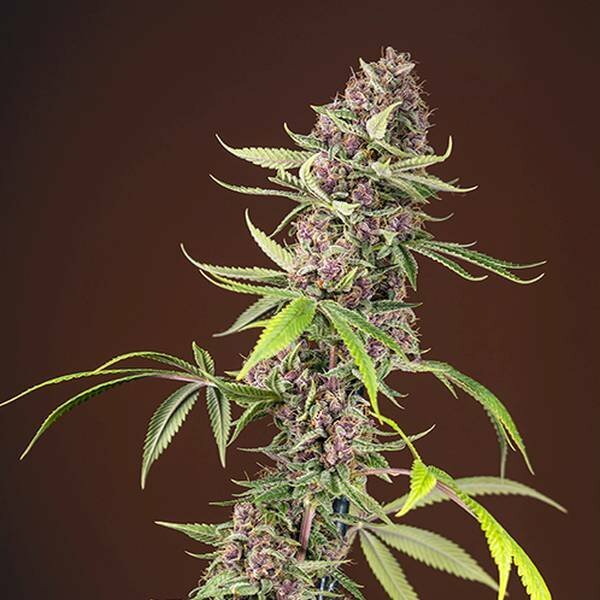 Sweet Seeds’ first red-flowered photoperiod strain Red Mandarine F1 Fast Version is an outright gorgeous cannabis plant. Yet, she has more to offer than just looking great; she is incredibly aromatic, and her reddish resin makes for extracts of extraordinary quality! Extra bonus: this strain flowers super-fast! The breeders at Sweet Seeds have created something truly special with their Red Mandarine F1 Fast Version. The cross between their Red Poison Auto and a rare and unusual purple-flowered elite clone of the popular Tangie (California Orange x Skunk hybrid) gives us an incredibly gorgeous plant that stands out with her unique red flowers. The buds of Red Mandarine F1 Fast Version will develop an intense scent and ooze with resin, which has a beautiful, rosy colour. This makes Red Mandarine F1 Fast Version a great plant if you want to make one-of-a-kind extracts of the highest quality. In case you were wondering, yes, "Fast Version" does indicate that this 55% indica will race to harvest in only 7–8 weeks of flowering. This, together with her good yields, gives the plant excellent production value: you can expect to harvest as much as 500g/m² when you grow her indoors, and up to 550g/plant outdoors. When you smoke or vape Red Mandarine F1 Fast Version, you can take delight in an aromatic blend of sweet citrus tones with some hints of blue cypress. With 17–20% THC, she will likely not knock you out, but is still potent enough to deliver a medium-strength effect that is highly enjoyable. Her effect nods slightly toward the indica side, so she’s awesomely relaxing yet offers a much-needed touch of uplifting happiness. With this nicely balanced effect, she is a very good smoke to enjoy at any time throughout the day—great for chilling out alone or sharing with friends . Red Mandarine F1 Fast Version by Sweet Seeds delivers the full package and provides everything that a cannabis connoisseur could want from a top indica hybrid. Plant your seeds now and check out this awesome strain!